If you start thinking of fall home maintenance when the air is crisp and the leaves are changing colors, you’re late! In Chicago, fall (and even early winter!) can come without a warning and the last thing you want is scramble to fix your roof or discover that your heating system is not working. Follow our advice and perform your home maintenance early – for your own peace of mind. Heating system. If you want to do it “by the book”, you should hire an HVAC contractor and have them inspect your heating system to ensure optimal performance. A specialist can discover minor problems before they turn into costly major repairs. If you’re comfortable doing this on your own, then make sure you test your system thoroughly. It is also a great time to change your furnace filter. You may want to consider getting your ducts cleaned as well. Roof and gutters. There isn’t anything worse than going into the cold, rainy Chicago season with a damaged roof. This is especially true if you don’t even realize the problem until it’s a much larger one! Gutters clogged with leaves can quickly damage your home’s foundation. Clean gutters and make sure they drain completely. Walk the roof to look for leaks or damaged shingles. Only do these tasks if you are comfortable on ladders and working on the roof, otherwise hire a professional. Caulking and Paint. Fall is a great time to check for cracked or damaged caulk around your windows and doors. Moisture can quickly leak into these cracks and wreak havoc. Any chipped or damaged paint should be scraped, primed, and repainted. Downspout extensions. Make sure your downspouts are extended to move water 4-5 Feet away from the foundation. This is an important step any time but especially the fall and spring as this tends to be the wettest part of the year. Trim Landscaping. Trim your bushes and shrubs so they are 1 foot away from the surface of the home. This allows for proper air flow and lets the area dry out. Also clean any leaves and debris from around the foundation. Disconnect water hose. This will help prevent your water line to the hose from freezing. Chimney. Great time of year to call a qualified chimney sweep to clean and inspect your chimney. This could prevent a dangerous and costly repair. Do not light your fireplace without an annual inspection to ensure your safety. Crawl space. We tend to forget about the crawlspace because we hate getting in there. This time of year is a great time to get in the crawl space to make sure there is no trouble. Check your vapor barrier, sump pumps, look for water or insect damage. Consider maintenance inspection. A maintenance inspection is essentially the same as a standard home inspection, but the inspection is done for the current owner. While a traditional buyer’s inspection is subject to a purchase agreement with standard language saying it’s a non-invasive inspection, there are no those kind of limitations with a maintenance inspection. Usually, the homeowner is right there, so if the inspector is concerned about water intrusion below that basement cabinet in the corner, they’ll ask the owner if they can drill a hole in the back of the cabinet and stick a borescope in there to check it out. Why get a Maintenance Inspection? Think of a maintenance inspection as a checkup visit to the doctor or dentist that need only happen every five years or so. 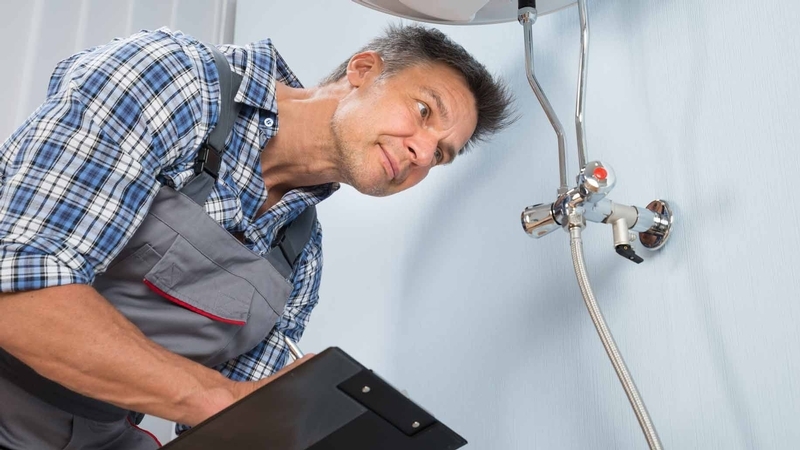 A maintenance inspection will help to prioritize a home improvement list, and to hopefully find out about small problems before they turn into big ones. In some cases, a maintenance inspection will reveal that what was thought to be a small problem has already turned into a big one.